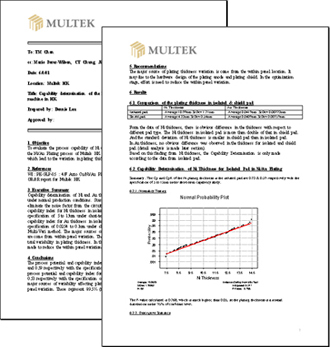 After the Variation Reduction Initiative was announced to the Executive Leadership of Multek, the executive overview clearly described the VR initiative and set the tone for elevating the organization to higher and unprecedented levels of excellence. 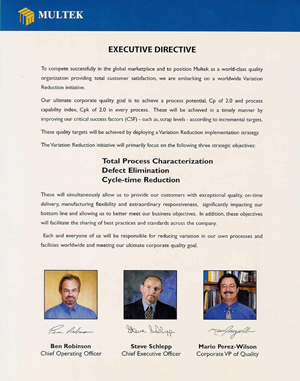 The Executive Directive made the following clear and inclusive declaration: "Each and everyone of us will be responsible for reducing variation in our own processes and facilities worldwide and meeting our ultimate corporate quality goal." 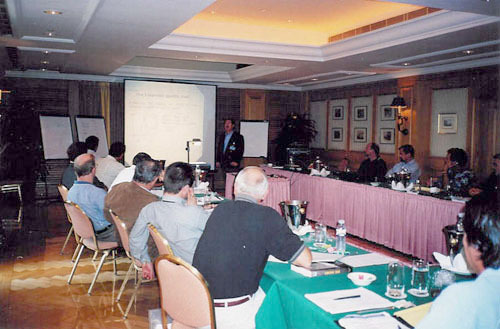 The VRI Conference for all the site leaders and their respective directors, vice-presidents and general managers was held in a conference resort in Scottsdale, Arizona. 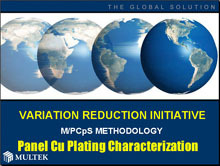 It was a week focused intensively on training, workshops, discussion, interaction, and consensus. 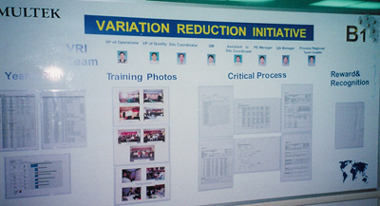 The week culminated with the GM's presentation of their committed plans for VRI implementation at each site. 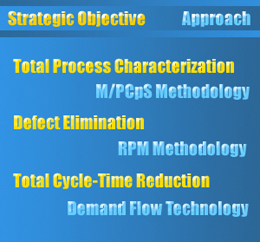 Each Site Implementation Plan identified the most critical processes, and scheduled them at each stage of the standard Process Characterization methodology. Improvements at Multek abounded. 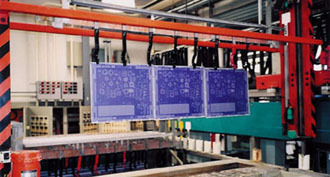 Process yields were increased. Scrap levels were reduced. 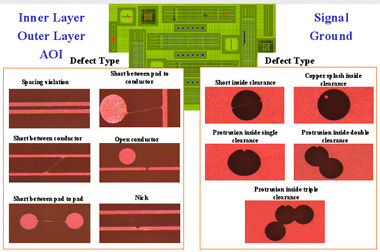 Defects were minimized. Cycle-times were improved. 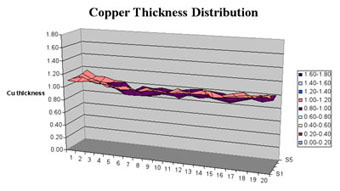 Below, copper plating thickness distributed across the panel and across the flight-bar were reduced significantly. 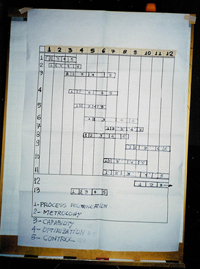 Implementing a paperless electronic document management system maximized the bandwidth for the dissemination of knowledge across all sites at the speed of the intranet. 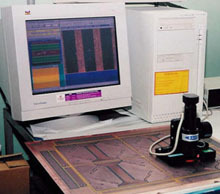 Under the umbrella of the VRI, all site protocols were integrated. 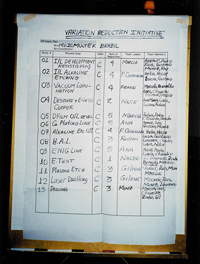 The form and structure for all engineering reports were standardized. 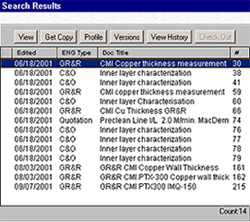 Furthermore, a paperless electronic document management system allowing global search across multiple site libraries allowed any engineer to file engineering reports, characterization studies, experiments, gauge repeatability studies, and virtually any document. 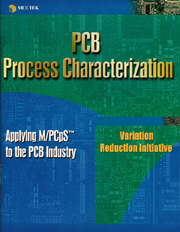 To speed the execution of VRI studies MPW compiled a comprehensive book which standardizes the characterization of most critical PCB processes. 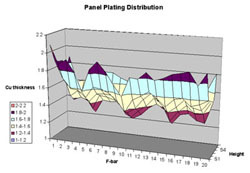 The Process Characterization approach was oriented specifically toward designing Global Test Vehicles, maximizing board complexity, aspect ratio, board/panel orientation, pad size and location, artwork complexity and layer count, for the purpose of comparing and benchmarking process and technology capability by site. To stay on-track with VRI implementation plans, efforts were tied to Global Quarterly Goal Rewards and site bonuses were linked to successful completion. 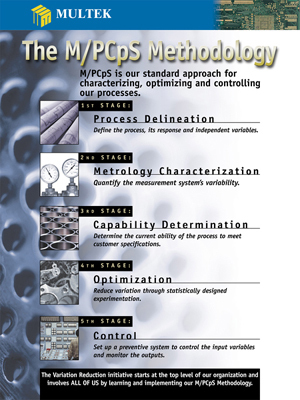 Milestone: More than 560 studies of Uncertainty-in-Measurement were completed within three months.